HomeCuteEditor's PicksThe four-year-old superstar! Would you have been this calm in a crisis? The four-year-old superstar! Would you have been this calm in a crisis? A four-year-old has been hailed a hero after he saved his mother after she collapsed at home. 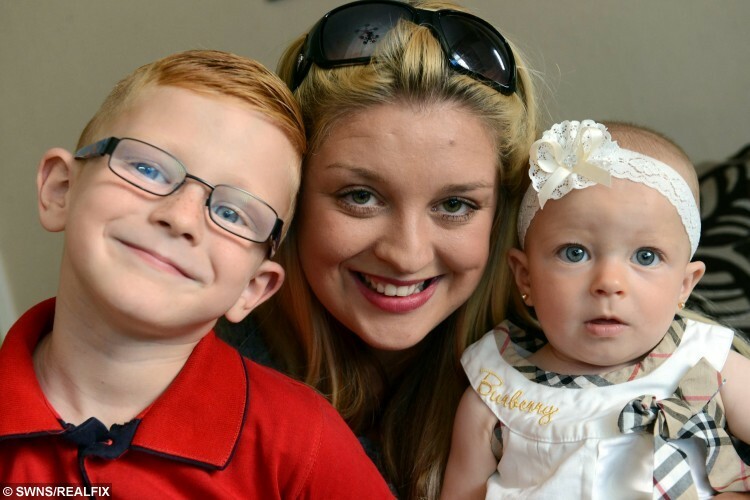 Brave Kaiden Moss kept a cool head when mum Samantha collapsed, hit her head and was knocked unconscious at their home. The brave youngster immediately called Samantha’s friend Karen Cross, who lives nearby, for help. But when he received no answer he left two voicemails while he also placed a blanket over his mum to keep her warm and looked after sister Harper, aged nine months. Samantha’s collapse was caused by a migraine, and she was brought back to consciousness when Kaiden was eventually able to speak to Miss Cross. “Kaiden left my friend two voicemails while he was trying to bring me round, covered me with a blanket to keep me warm, tried to put a pillow under my head and also kept my daughter calm. “Most children wouldn’t have known what to do in that kind of situation, but Kaiden was really calm. Miss Cross, 26, said: “Kaiden called me and said ‘My mummy has fallen. She’s lying on the floor and I cant wake her up’. “I went straight round, and Kaiden was so calm in his approach. He said he had looked after his mummy and Harper. “When I got there, Samantha was sprawled across the floor, and Kaiden had been trying to bring her round. He was sitting holding his mum’s hand and stroking her hair. “I tried to wake her up and she didnt respond at first, so I started to get a bit panicky, shouted at her and shook her a little bit. She then woke up in a bit of a fright. A spokesman for the North East Ambulance Service said: “Kaiden is a little superstar. Even for an adult, seeing a loved one in trouble can be very traumatic. Meet another young hero here! « Previous post You'll never guess what made this mum drop FOUR dress sizes! Next article » You won't believe what this amazing wedding dress is made out of!